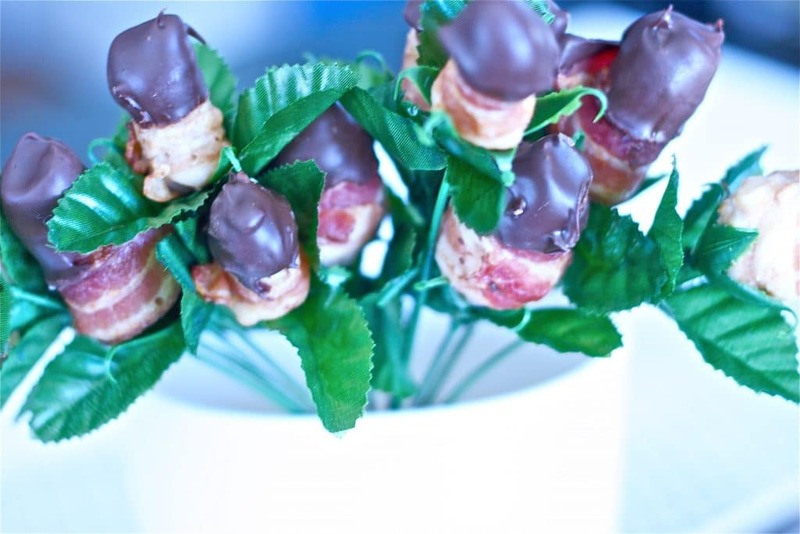 Chocolate bacon roses with a side of lovin’. What more do you need for Valentine’s Day, really?! I first made these for my husband Ryan a few years ago, but recently felt the urge to whip up another dozen. It’s a fairly simple, inexpensive way to WOW your honey this year. 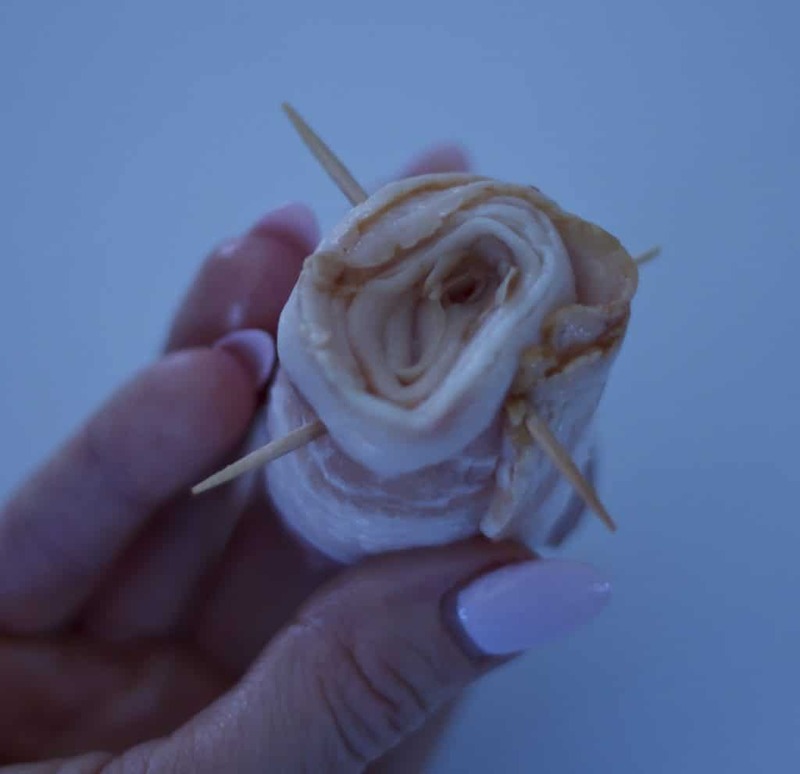 Preheat your oven to 400 degrees F. Roll your bacon to resemble roses, securing each one with toothpicks. Place the toothpicks as close to the bottom of the roll as you can. This creates a stand for the bacon in the oven. 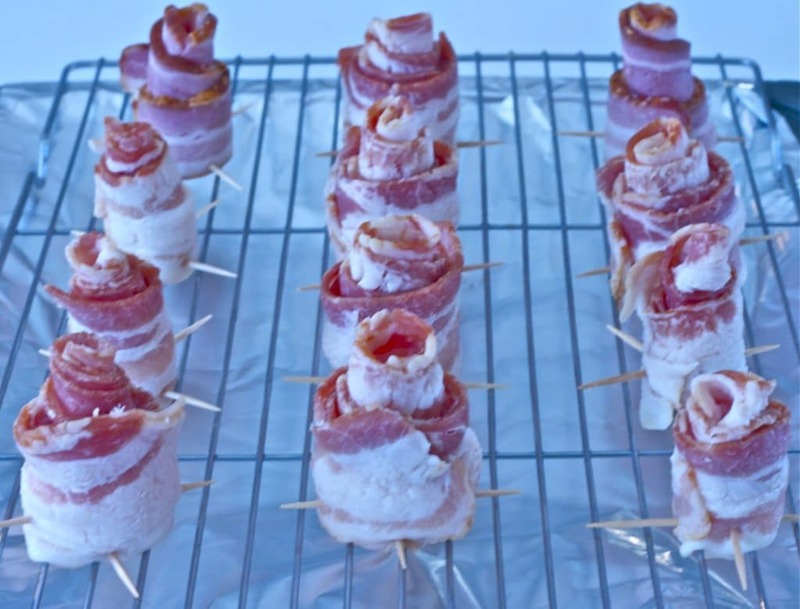 You may want to use up to four toothpicks per bacon slice. Place your cooling rack on a foil-lined baking sheet. This will catch the bacon drippings. 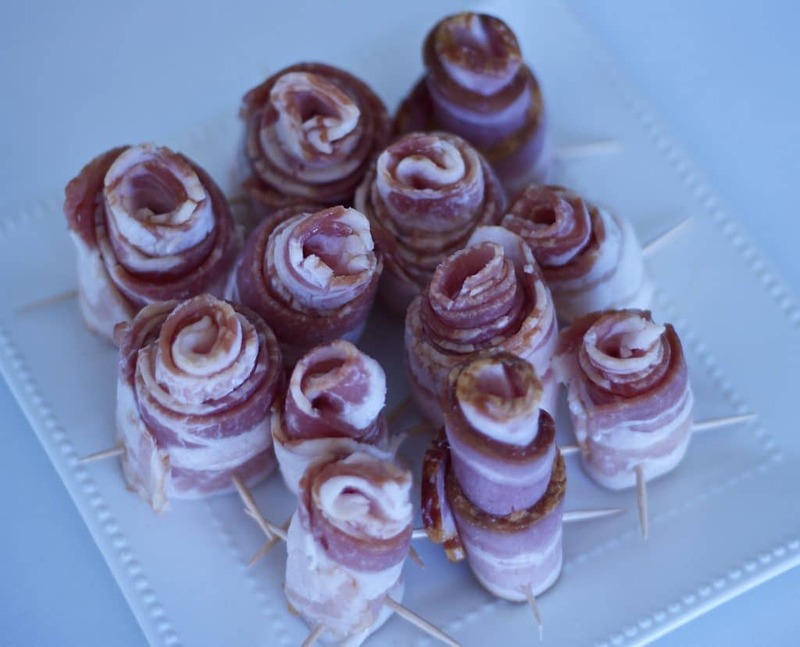 Bake your bacon roses at 400 degrees for 25-30 minutes. 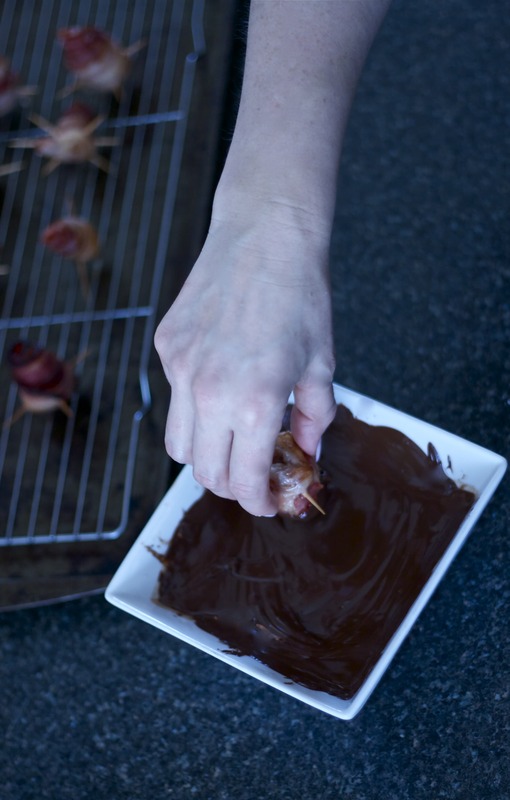 Once the bacon is cooled, dip the roses into the melted chocolate, then place them back on the cooling rack. 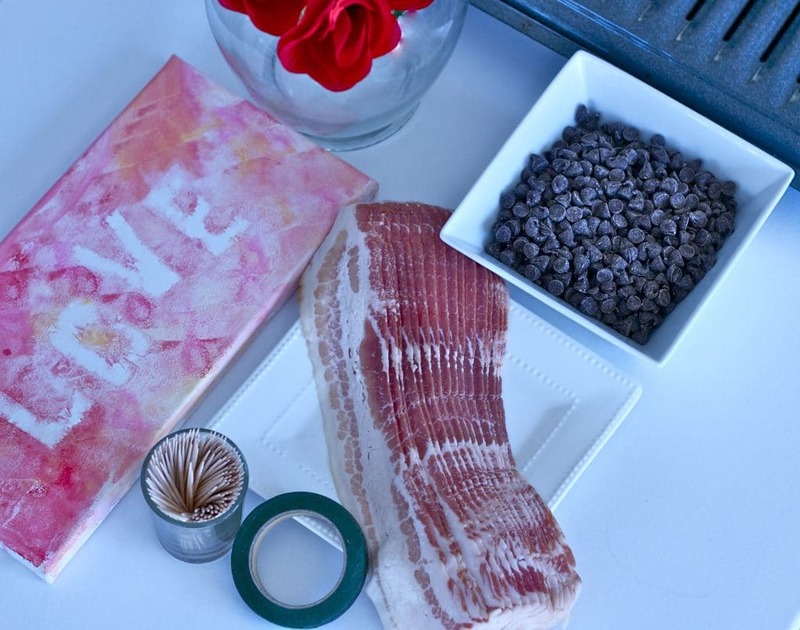 Put the chocolate-dipped bacon in the fridge to harden for five minutes. 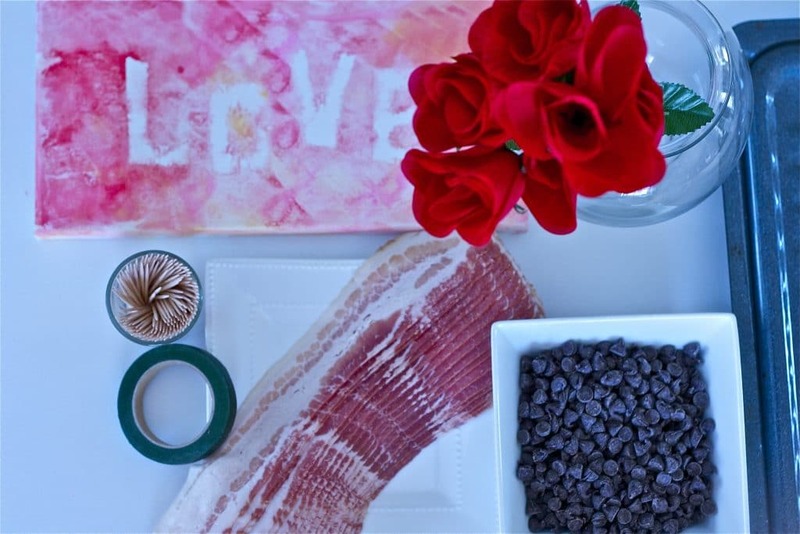 Avoid cooling the bacon for any longer than that. Next, take your plastic roses and remove all the petals so only greenery remains. 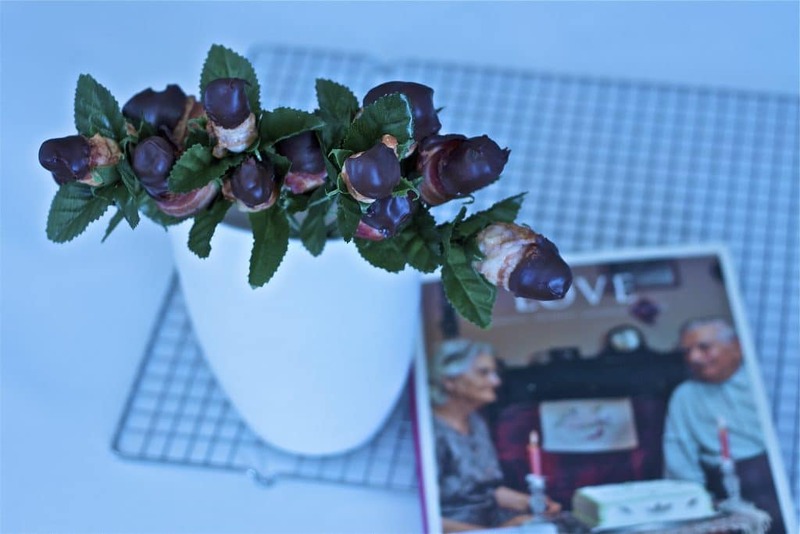 Poke the chocolate dipped bacon roses on the stems and place your bouquet in a vase. They’re best when served and enjoyed as soon as possible. Finally, get some Al Green going through the speakers, and voila: you win Valentine’s Day! 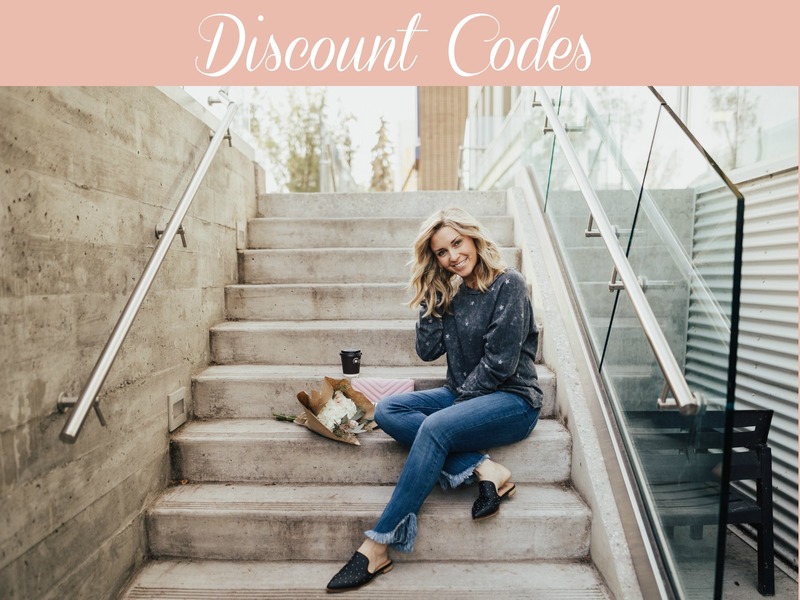 Pin this to your Valentine’s Day Gifts and Treats board and don’t forget to follow me on Pinterest!